To receive a bachelor’s degree from any of the colleges in the University, students must have an overall grade point average of at least 2.00. Courses designated to fulfill general education at the University of Memphis can be found at University General Education Program. All students are required to apply to graduate during the semester preceding the semester of graduation. The deadlines for the application to graduate are included on the Registrar’s website. It is the responsibility of the student to ensure that this deadline is met. 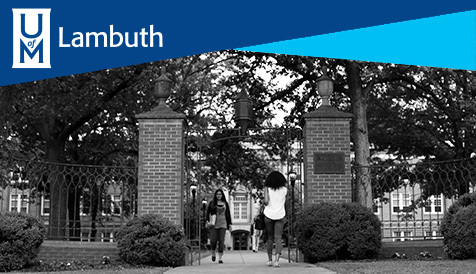 A student will satisfy residence requirements for graduation by earning at least twenty-five (25) percent of credit hours required for the degree at the University of Memphis. At least thirty (30) of the final sixty (60) hours required for the degree must be completed at the University of Memphis. A student transferring credits from a two-year college or institution must complete, as a requirement for the baccalaureate degree, a minimum of sixty semester hours in an accredited senior institution. In addition, the student must meet the residence requirements for the specific degree as established by the college or school in which it is offered. Exceptions to residence requirements can be authorized by the appropriate dean. Residence requirements for specific degrees within each college or school may be found in the Colleges and Degree Programs section. For more details, the student should inquire in the office of the dean of the appropriate college or school. An undergraduate student can be recommended for licensure to teach in Elementary Education (Grades K-6); Early Childhood Education (Grades PreK-3); or Special Education (Grades K-12); or Physical Education (Grades K-12), Art (Grades PreK-12), Music (Grades PreK-12) in the State of Tennessee by completing all degree requirements for that endorsement as outlined for the Bachelor of Science in Education in the COLLEGE OF EDUCATION DEGREE PROGRAMS section of this Catalog, or the College of Communication and Fine Arts for Art and Music. A student in any of these programs must (1) file an application for admission to the Teacher Education Program in The College of Education, Health and Human Sciences; (2) fulfill the requirements and application procedures for the year-long Residency; (3) apply to graduate before the University deadline; (4) have an overall GPA of no less than 2.75 and a grade of “C” or above in each required course on their program of study; (5) pass all appropriate PRAXIS II licensure exams, and (6) fulfill all other graduation requirements listed under the TEACHER EDUCATION PROGRAMS: REQUIREMENTS section. Graduate, special, and transfer students who wish to obtain a teacher’s license should confer with the academic advisor in the College of Education, Health and Human Sciences, Room 202, Ball Hall on the main campus, or Room 220 in the Barnell-Jones Building at the University of Memphis, Lambuth Campus, concerning their individual requirements. A student may complete the requirements for the initial degree under the provisions of any valid UofM Catalog provided the effective date of that Catalog is not earlier than the student’s initial admission to UofM or some other accredited institution of higher learning. The degree requirements published in the Undergraduate Catalog of the University of Memphis are valid for seven years from the beginning of the academic year to which the Catalog applies. With the approval of the dean of the college through which the student’s degree is offered, any student who had completed at least fifteen semester hours of course work and whose progress was interrupted by a call to active military duty may extend the validity date for graduation for any Catalog valid at the time of the call to active duty. Though the student should attempt to complete requirements within the normal seven-year validity period, the dean may grant an extension commensurate with actual time served on active military duty and time required for directly related medical treatment that prevents the student’s re-enrollment. Qualification for this extension is contingent upon re-enrollment within a period of time deemed reasonable by the dean. The extension is not allowed for a full military career. The seven-year Catalog validity period applies only to degree requirements as specified in Graduation from the University and Colleges, Degree Programs and Courses sections of the Catalog. It does not apply to regulations in the Academic Regulations section. Specific regulations apply for the year in which they appear in the Catalog. All students who hold a baccalaureate degree from a regionally accredited institution of higher education, including the University of Memphis, may earn another bachelor’s degree with a different title. Complete any additional college requirements as determined by the office of the dean of the college granting the second baccalaureate degree. Complete all requirements for the major as determined by the department in which the second baccalaureate degree is sought. Complete a minimum of 30 semester hours in residence. Earn a minimum overall* grade point average of 2.0. *Until Summer 2015, the overall GPA will reflect all college-level coursework-U of M and transfer. Beginning Summer 2015, the overall GPA will reflect all college-level work-U of M and any transfer coursework processed prior to Summer 2015; however, the overall GPA will reflect ONLY U OF M coursework for those students whose transfer credit is processed Summer 2015 and later. For New Transfer students admitted Summer 2015 and later, no transfer credit will count in the overall or the overall combined GPA. For Readmitted students readmitted Summer 2015 and later, no transfer credit taken since last attending the U of M will count in the overall or the overall combined GPA. Any transfer work previously processed will continue to be reflected in the GPAs. For Continuing students, no transfer credit submitted to and received by the U of M Summer 2015 or later will count in the overall or the overall combined GPA. Any transfer work previously processed will continue to be reflected in the GPAs. Two majors in the same degree may be pursued simultaneously or subsequently. If a student completes the requirements from a valid Catalog for an additional major for a degree previously earned at the University of Memphis, that major may be posted on the student’s record if the student applies for the additional major through the appropriate dean’s office. A student with a declared major may pursue any established minor described in this or any subsequent catalog. The selected minor must be different than the declared major and require approval of the degree granting college under which the student is graduating. The minimum of 18 credit hours for a minor is required. Some of the hours in the minor may also be included in the student’s general education and degree requirements. There must be at least 9 hours at the upper division level. The GPA required for the minor is that of the degree granting college. Students must complete the coursework for the minor as described in the “Majors, Minors, and Certificates” section of the undergraduate catalog. The minor must be declared no later than graduation check-out time. All course requirements for the minor must be completed by the time of graduation.